See all the Smashing articles in our Community category. December 17, 2018 — The state of commercial web conferences is utterly broken. 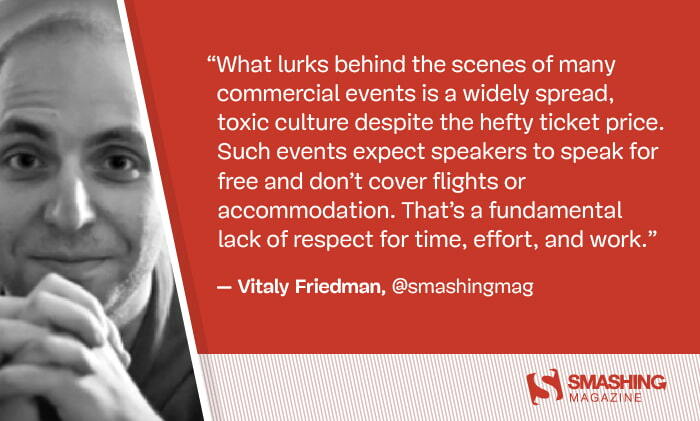 In this article, Vitaly Friedman sheds light on a topic that is not spoken of enough, and shouldn’t be acceptable in our industry.